One of the most interesting things that can be done once you know how to prepare your own hydroponic nutrients (check out my free ebook on the right hand menu) is to make formulations for the different growth stages of your crops. Certainly the variation of several nutrients along the different stages of a plant's life will guarantee optimal production with better than average results. In the beginning it certainly isn't very clear how you should vary nutrients and careful care about the amounts - particularly the ratios between nutrients - have to be taken into account in order to have the best possible results. On today's post I want to talk a little bit about hydroponic tomatoes and how we can design a very specific "feeding schedule" with small modifications in our nutrient formulations for the whole growing process of this plant. When you are growing plants, their needs are obviously not the same along all their growing stages. In a similar way as a 5 year old human doesn't need the same nutrients as a 16 or 52 year old, plants that are just germinating and plants that have been flowering or have just begun their fruiting have different nutritional needs. In tomatos, these differences manifest themselves as different demands for the different nutrients. For example, demand for magnesium, nitrogen and potassium increases as the plant grows older as more nutrients are needed to develop more live material. However some needs - such as those of micronutrients - remain fairly constant as the demand for most of these ions is not increased radically as the plant grows. 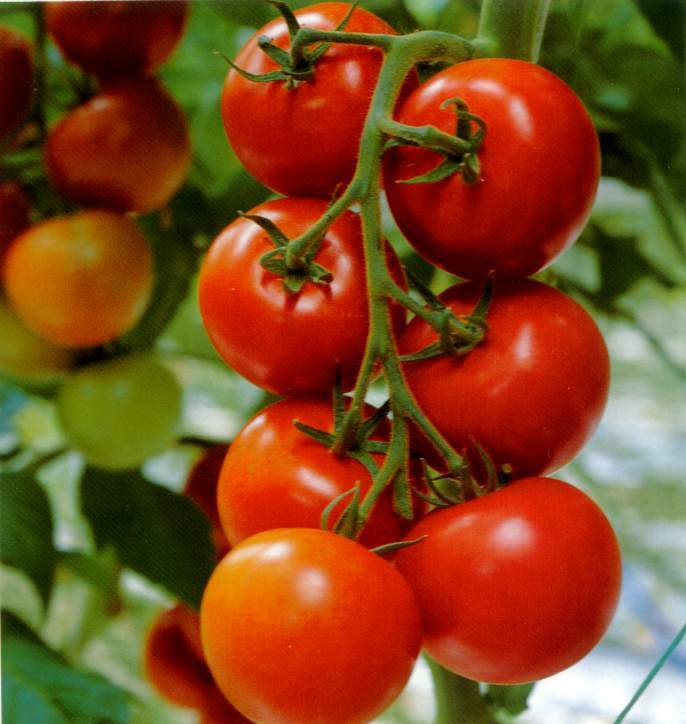 Of partiular usefulness to understand how to improve your tomato crop by developing a formulation schedule is a study done by the university of Florida by Hochmuth et al. The study shows the design and application of a feeding schedule to tomato crops from transplant to fifth cluster development, changing nutritional input as the plant develops. You can access this study here and look at all the different formulations developed for different stages of tomato growth. By using the ppm values provided on this study you can easily prepare nutrient solutions using the spreadsheet provided with my nutrient preparation ebook (available freely). When you analyze the nutritional formula given above you can see how some nutrients are increased gradually while some are increased in large steps. You can also see how some ratios - like the N/K and Ca/K relationships - vital to the development of healthy tomato fruits, develop as the plants reach a more mature stage. In the beginning, small quantities of nitrogen (< 70 ppm) are available while in the end this quantity is increased to 150 ppm falling in line with the demand of a much larger fruit-producing plant. Hopefully with the above guidance and reasearch article you will be able to start some customized nutrient scheduling for your tomato crops to improve their yields, making sure that your plants get the most out of the nutrient formulations they are using.